Welcome to the coffee and espresso lovers destination. We welcome you to discover the art of Nespresso in Etobicoke. Nespresso products allow you to bring the exceptional taste of celebrated espresso blends from around the world to your local kitchen counter. Shop the latest in Nespresso machines, coffee and espresso blends, accessories and other essential supplies at the Nespresso Boutique today. A Nespresso machine serves as the perfect gift for the espresso lover in your life. 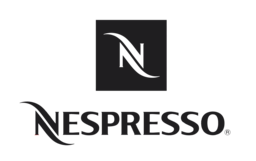 If you're looking for the best home-brewed coffee and espresso experience, you owe it to yourself to visit the Nespresso Boutique in Etobicoke at CF Sherway Gardens today.